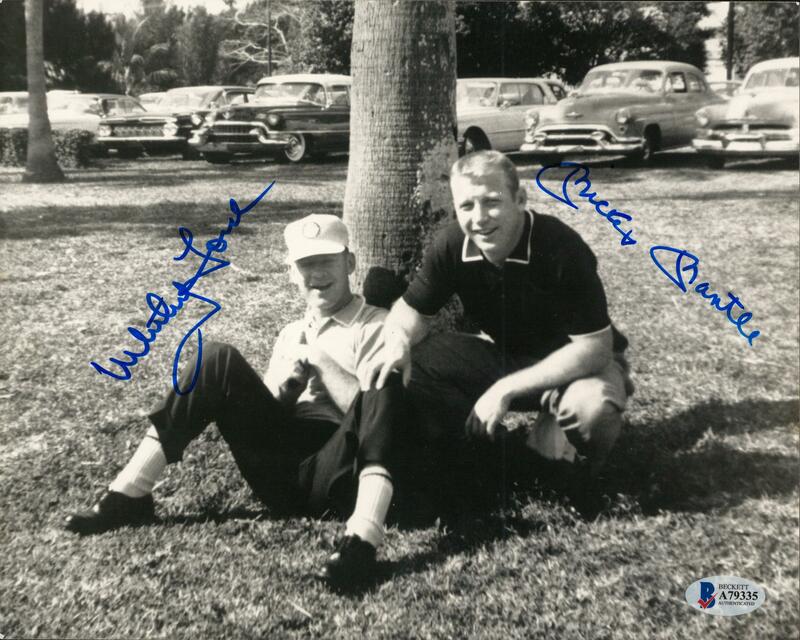 Whitey Ford and Mickey Mantle have both signed this 8 x 10 inch black and white photograph. 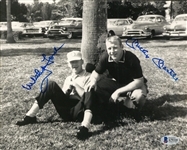 The two Yankee Hall of Famers are pictured during their youths, with Ford sitting against a tree trunk and Mantle squatting next to him. Mantle and Ford, who both entered the National Baseball Hall of Fame in 1974, have both signed this photograph in blue marker. 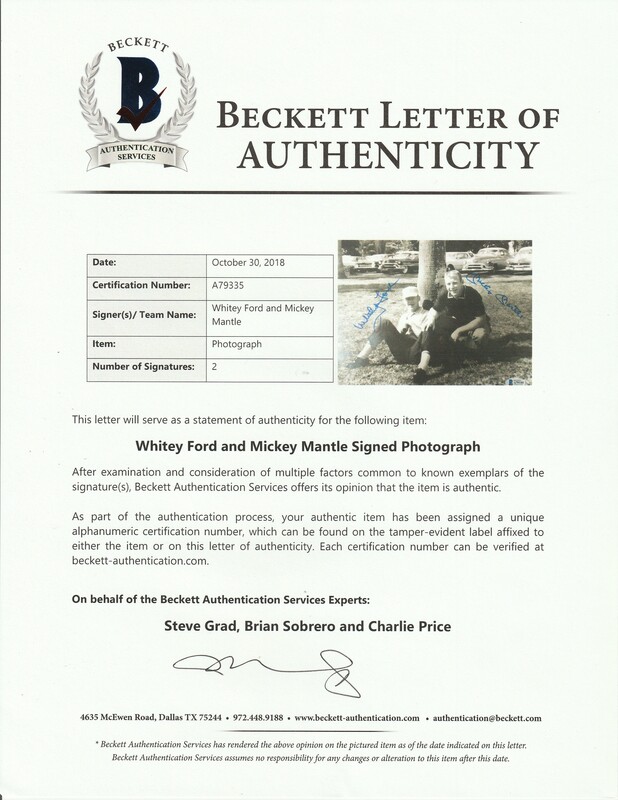 This item comes with a LOA from Steve Grad of Beckett Authentication (A79335).